Collett Mechanical, Inc. provides the installation of mechanical systems including design/build projects. 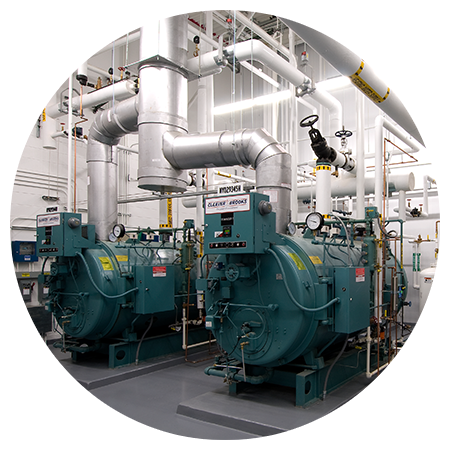 Heating and air conditioning systems including major equipment components such as boilers, heat exchangers, chillers, cooling tower, pumps and the associated steam, condensate, heating hot water, chiller water, condenser water and refrigeration piping. Ventilation systems include air handling equipment, ductwork, sound attenuation and exhaust fan equipment. Collett Mechanical, Inc. will design and install energy-efficient systems that are easy to operate and maintain tailored specifically to the client’s individual needs.